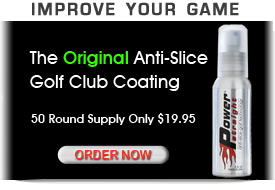 Power Straight® is a patented friction reducing nano-polymer coating scientifically-engineered to reduce or eliminate side spin off the face of a golf club to correct a slice or hook. 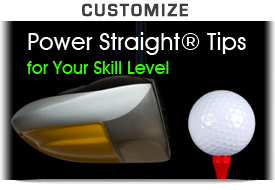 Power Straight® will absolutely reduce side spin on the ball to fix your slice. It's pure science. Reduce friction and you reduce side spin (the reason you slice or hook). Additionally, by reducing side spin, Power Straight's self-correcting golf club coating will help you hit drives up to 13% longer. 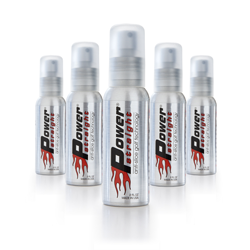 Power Straight® works in seconds – no drills, lessons, or training aids required.Just spray on your club face and play. Each application lasts a full round. Works better than any anti-slice tee, anti-slice driver or anti-slice / self-correcting golf ball. Since each bottle contains more than 50 applications, fixing your slice with Power Straight® costs only pennies a round. 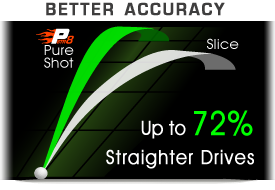 Power Straight increases distance and accuracy. I know of no swing trainer, golf club, video or golf lesson that produces such immediate results. Power Straight works right away. SPECIAL OFFER: 2 Pocket Power Straight and save 25%.